Please note that riding on the grounds is dependent on grounds condition. If it is wet, grounds may be closed. Please check the 'grounds open/closed' sign outside the clubrooms before using the grounds. Clevedon Pony Club members may invite non-members to ride on the grounds. Non-members must complete our booking form and checklist prior to riding on the grounds. We share our grounds with a number of other user groups including Auckland Manukau Dressage Group, Farmers' Market, the A&P committee and the Clevedon Natural Horsemanship group. This shared arrangement means there are restrictions upon the days and times that Pony Club members may ride on the grounds. Sometimers user booking times overlap, and all parties must be mindful and considerate of each other. 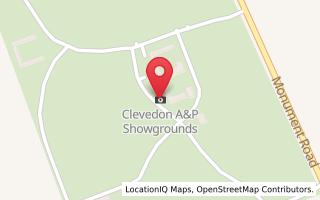 Only Clevedon Pony Club members are permitted to ride on the showgrounds. Friends or instructors are not permitted to ride unless they fill out a casual membership form and pay the fee of $20 prior to riding. Guests using grounds must acknowledge they have read our health and safety information. Keep the main gate closed and locked at all times. If grounds are wet, please stay off grass areas even if the sign says grounds are open. If your horse creates any divots in the turf, please tread them flat immediately. If these holes are left, they harden in summer and pose a safety risk for cross country events. Do not ride on the football/rugby fields located on the northern side of the grounds. We are only permitted to use the arena south of the dressage clubrooms. Use of the northern side arena is not permitted. The A&P stalls are available for pony club use but members must clean them after use and remove dung, hay and any twine used for tying up horses. The enclosed area adjacent to the A&P stalls is out of bounds. Do not use the dressage yards at the western end of the grounds. Remove dung from all hard areas, dressage and showjumping arena and directly around the clubrooms after riding. If using the showjumping enclosure, pick up any poles from the ground after use. Please familiarise yourself with grounds hazards prior to riding - these are stapled to the wall of the clubrooms. Please notify any new hazards to the committee as soon as possible. Parking only on hard surfaces please. No dogs allowed during rallies and events. Dogs welcome at all other times but must be kept under control.